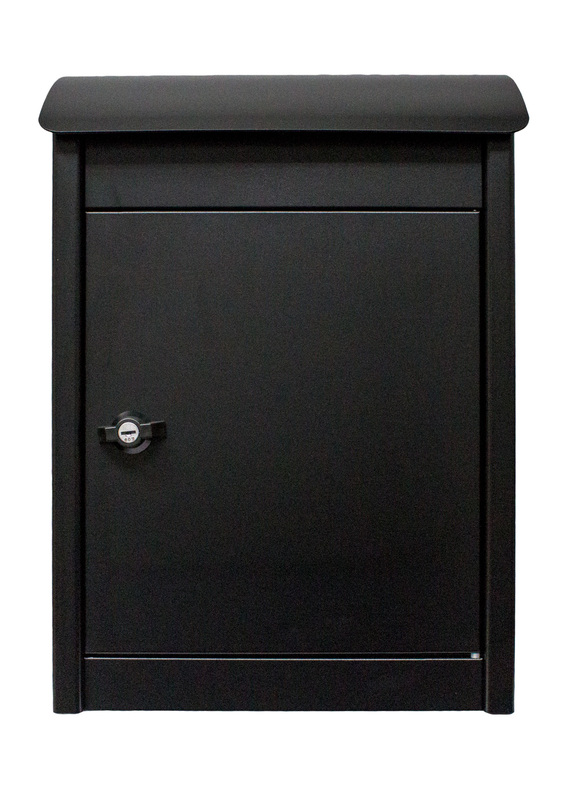 Winfield Parcel Sentry Junior top loading, wall mount, parcel locker mailbox features a curved soft closing lid which covers incoming parcel drop opening. Lid is raised up and a steel plate lifts inside with lid, then parcel is placed though top and drops into locking compartment when lid is closed keeping contents safe from unwanted hands. Built from thick, heavy gauge galvanized steel with a tough black powder coat finish. Locking retrieval door is fitted with a butterfly lock and comes with a set of keys. Maximum parcel size: 9" x 9-3/4" x 5-7/8"
Add a vinyl street number or logo. Call for more information.